The promotion code provides the user with a 100% discount on fees on their first three money transfers with WorldRemit. Promotion available when you send money from one of the following countries: Belgium, Canada, Italy, Netherlands, Spain, Sweden and USA. The code must be applied during the payment process in the ‘PROMO CODE’ section to benefit from the discount. You must apply the code to your first, second and third transactions in order to benefit from the discount. If the code is not applied to your first transaction it will not be valid for your second and third transactions and if the code if not applied to your second transaction it will not be valid for your third transaction. This offer can only be redeemed by new customers to WorldRemit only. This code is valid until 30 April 2019 at 11pm GMT+1. for the first time can redeem the promo code. 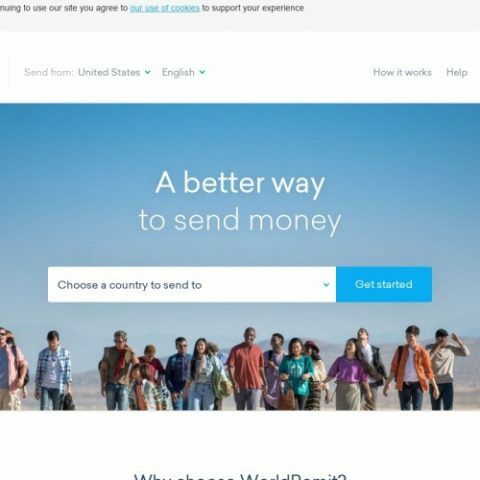 An existing WorldRemit customer will not be able to use the promo code. The promotion code provides the user with a 100% discount on money transfer fees on their first transaction with WorldRemit. The code must be applied during the payment process to benefit from the discount. This offer is valid for one transaction. We list all the latest available discount codes, and with the website constantly update the site 24 hours a day, 7 days a week, you will always find the latest working voucher codes. If you are looking for a World Remit LTD discount code for April 2019, chances are Voucher Ninja have it covered! We also list expired discount codes too which may still work, so make sure to try them before you checkout to get a few extra pounds off your World Remit LTD order! Don't forget to share World Remit LTD voucher codes with your friends and family to help them save money too!